Welcome to Good Day Illinois! Good Day Illinois provides thought provoking commentary on governmental activities and other events of interest in Illinois with an emphasis on Northwest Illinois. It is our intent to promote responsible government which we hope will contribute to making Northwest Illinois a better place to live. 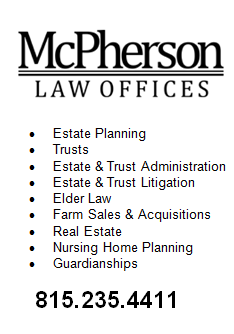 Good Day Illinois is brought to you by McPherson Law Offices.